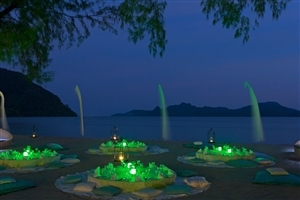 Overlooking the shimmering Andaman Sea and the lush islets that rise out of its azure waters, the acclaimed Westin Langkawi Resort & Spa beckons with a fine array of tempting attributes. 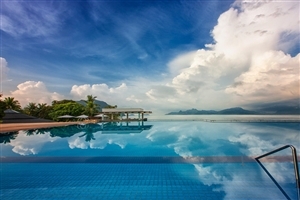 An award-winning Langkawi holiday resort, Westin Langkawi Resort & Spa boasts 202 smartly-appointed guestrooms and 20 luxurious villas, while facilities include the Heavenly Spa and a vast swimming pool from which to admire the pleasant vistas. 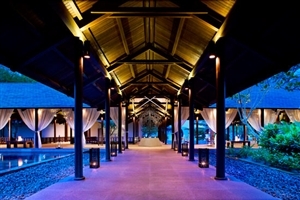 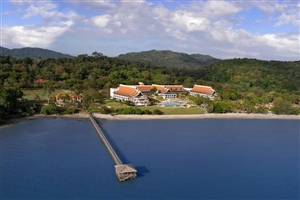 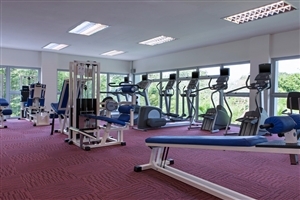 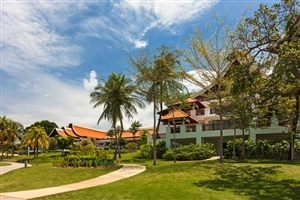 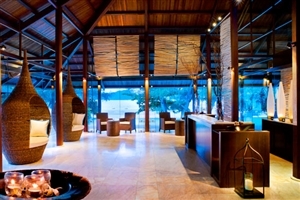 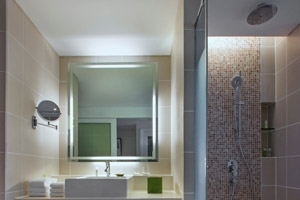 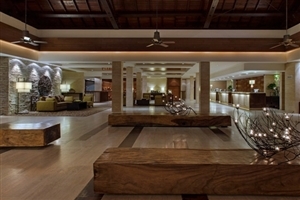 Westin Langkawi Resort & Spa is located 20 minutes from Langkawi International Airport. 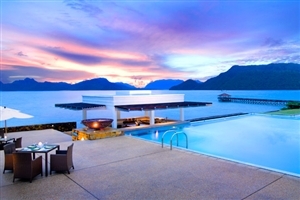 Revel in luxury at the exceptional five-star Westin Langkawi Resort & Spa, one of Langkawi’s foremost premier holiday resorts. 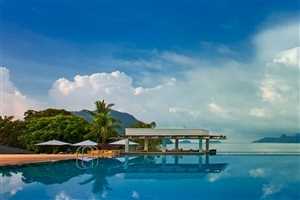 Breathtaking traditional architecture meets magnificent modern amenities at The Westin Langkawi Resort & Spa, which comprises 202 lavish guestrooms and 20 magnificent stand-alone villas overlooking the marvellous Andaman Sea. 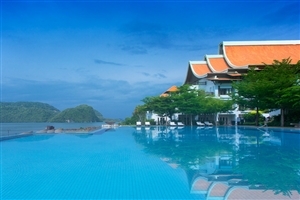 Take advantage of the excellent facilities at the award-winning Westin Langkawi Resort & Spa, including the Heavenly Spa and the tropical swimming pool, while guests are invited to participate in an array of exhilarating watersports during their stay. 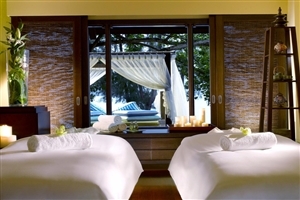 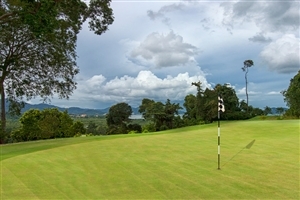 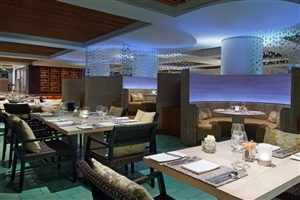 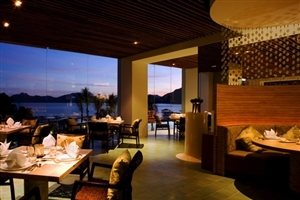 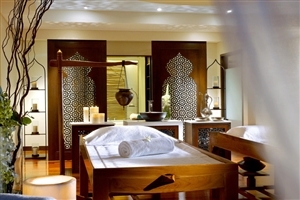 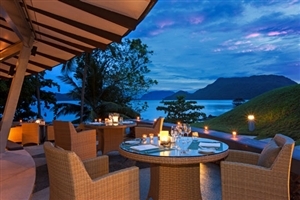 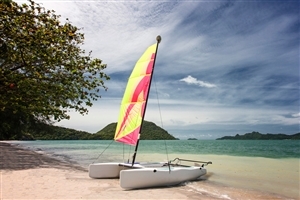 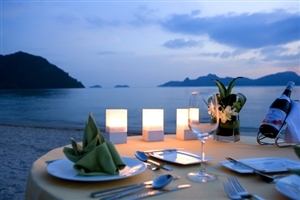 The Westin Langkawi Resort & Spa is 20 minutes from Langkawi International Airport. 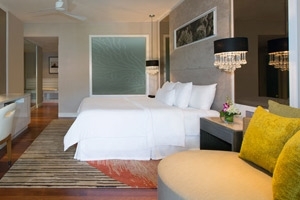 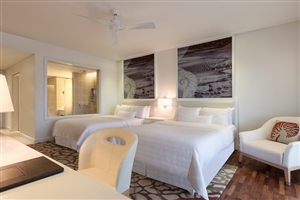 The Superior Room at Westin Langkawi offers 38sqm of accommodation space and has been styled in a contemporary manner for a refined hospitality experience. 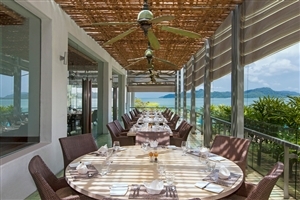 The Superior Patio Room at Westin Langkawi offers 52sqm of accommodation space allows guests to walk out onto their own private patio, perfect from which to enjoy a morning coffee or for a relaxing afternoon. 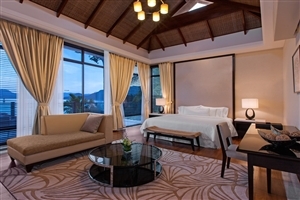 The Premium Garden View Room at Westin Langkawi offers 48-52sqm of accommodation space and overlooks the beautiful tropical gardens. 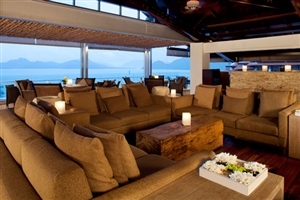 The Premium Ocean View Room at Westin Langkawi offers 48-52sqm of accommodation space and enjoys full of partial views across the Andaman Sea. 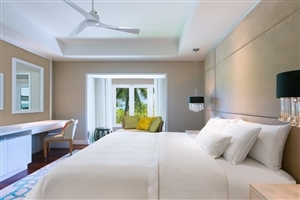 The Premium Ocean View rooms at Westin Langkawi offer 48-52sqm of accommodation space and features magnificent views across the Andaman Sea. 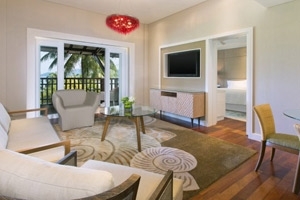 The One Bedroom Suite at Westin Langkawi offers 97sqm of accommodation space, including a separate bedroom and lounge area. 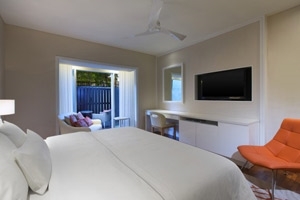 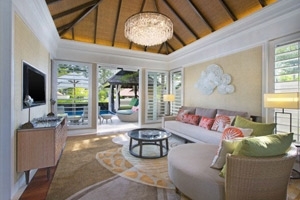 Features include a private balcony overlooking the tropical gardens. 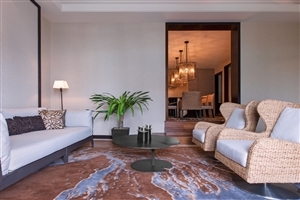 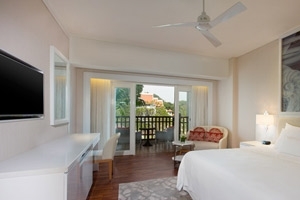 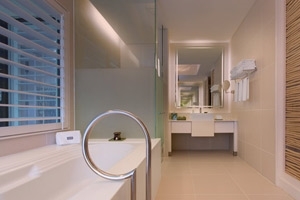 The Two Bedroom Suite at Westin Langkawi offers 289sqm of accommodation space, including two bedrooms, a living room area, plus a walk-out balcony with a Jacuzzi overlooking the Andaman Sea. 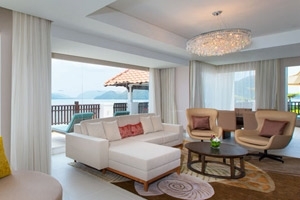 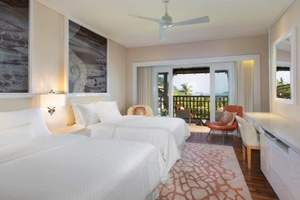 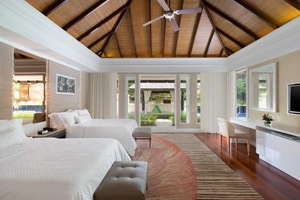 The Ocean Bedroom Villa at Westin Langkawi offers 95sqm of accommodation space and features its own private pool, plus a massage bed for spa treatments, a martini bar, a fully-equipped kitchenette and a butler room. 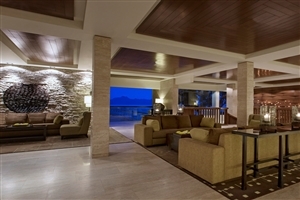 The Two Bedroom Villa at Westin Langkawi offers 260sqm of accommodation space and comprises of two bedrooms, a living area, a kitchenette, a Martini Bar, dining area and private infinity pool. 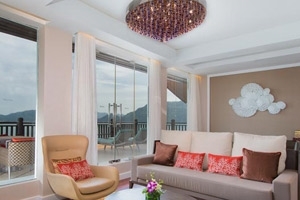 The Five Bedroom Villa at Westin Langkawi offers 800sqm of accommodation space and has been designed as a plush residence for larger groups and families. 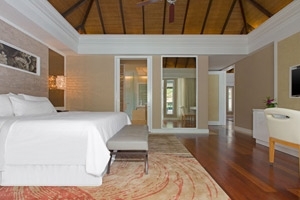 Every luxury is included in this beautiful Villa, including two living rooms, an entertainment room with a grand piano, a fully-equipped kitchen and a private infinity pool. 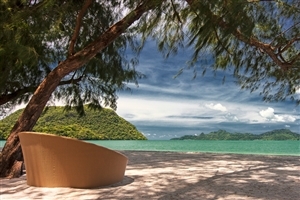 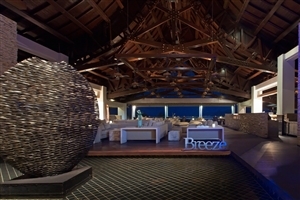 Guests can also admire stunning views across the Andaman Sea. 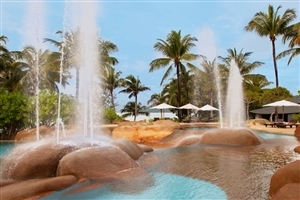 Stay at Westin Langkawi Resort & Spa and you will be captivated by the magnificent facilities available to take advantage of during your stay.